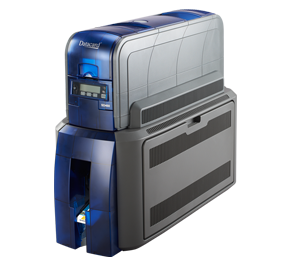 If the security of your facilities and employees is a primary concern, the Datacard SD460 Dual-Sided ID Card Printer offers advanced security features that will protect your assets and people. Cutting edge technology adds security features to your ID cards that can't be counterfeited or copied, making your ID card program safe and secure. The Datacard SD460 Dual-Sided ID Card Printer offers an innovative feature called a tactile impression personalization that enhances security by creating an impression on the card you can see and feel. Alterations or counterfeiting is clearly visible thanks to this tactile security feature. Datacard DuraSheild is a clear and holographic overlay that adds security and durability by providing edge-to-edge coverage that's impossible to tamper with or remove intact. DuraShield also provides four times the durability of basic top coats—all for about the same price. 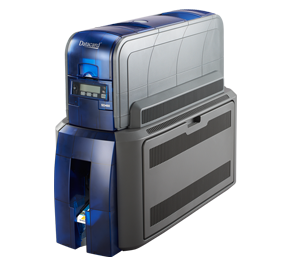 You get an open platform for integration in a variety of environments with the Datacard SD460 Dual-Sided ID Card Printer. When combined with Datacard software and supplies, your new Datacard SD460 is a reliable solution that takes security and durability to a higher level.